The fourth installment of San Diego Startup Week kicks off today. The five-day event will feature 125 events and attract over 3,000 people to celebrate the thriving startup culture in our city. In 2008 when Underground Elephant (UE) opened up its doors in a small office in Mission Valley, the San Diego startup landscape was shaped mostly by the life sciences, biotech, and defense technology. Since then, the diverse San Diego Startup community has grown to help create over 41,000 software related jobs and a $12.2B impact on the local economy. San Diego Startup Week brings together entrepreneurs to share progress, exchange resources, and celebrate the thriving innovation community that was recently named as one of the tech hubs luring startups away from Silicon Valley. UE has learned a lot from its failures and successes and we are excited to be able to share our experiences this week. On Wednesday, June 15th UE will be a part of the Startup Crawl. At the end of the days events, attendees will visit top San Diego startup companies, receiving beer tastings at each stop. At the UE stop, a group of “elephants” (and possibly a few other zoo animals…) will show you around UE’s new office digs, including the park, the schoolhouse, the watering hole, and the library. Thursday, June 16th our resident Human Resources Business Partner, Amy Zebrowski, will be part of a panel discussion focusing on developing your company outside of your core founding team. Executives are always looking for the right team members, and having a clear picture of your needs may help you build a solid foundation. Finally, on Friday, June 17th our VP of Culture, Stacy Mendes, will join a panel discussing recruiting, developing, and retaining talent in a highly competitive tech industry. Stacy has developed a distinctively unique work environment here at UE, and she will pass along some tips to help other entrepreneurs develop their own brand of culture. Also taking place on Friday is the Startup Festival at Quartyard, which includes a startup exhibition, community awards, and live music. 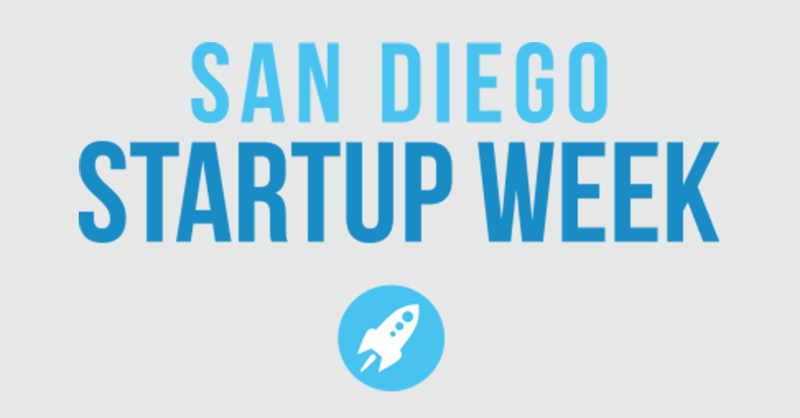 For a full list of San Diego Startup Week events, click here. Wow! I had to read this twice. I know Underground Elephant was a small startup in San Diego that began 10 years ago, but I had no idea it’s had a $12.2 billion impact on the local economy. Underground Elephant’s CEO Jason Kulpa has been quite busy these last ten years and I hope he takes vacations.